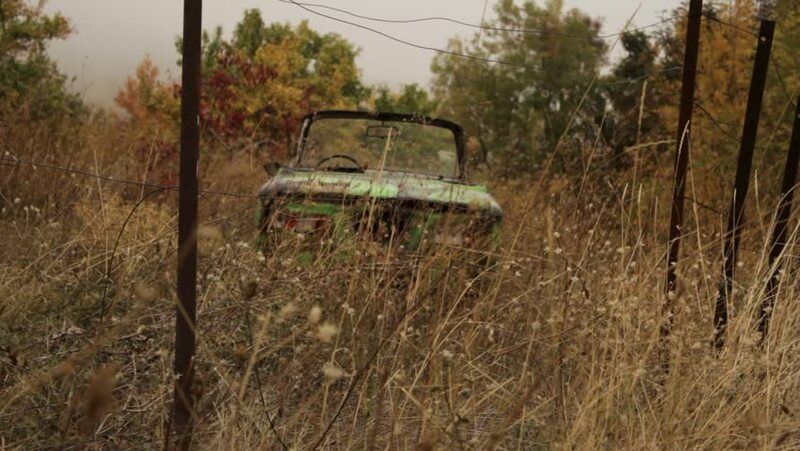 old abandoned russian car in withered yellow grass background. Shot. Antique vehicle left in long withered grass. 4k00:25SANPETE, UTAH - OCT 2015: Recreation 4x4 RZR drives past mountain cabin autumn 4K. Beauty seasonal Autumn colors, exploring high mountain roads and trails. UTV side-by-side 4x4 4 wheel drive ATV. hd00:16MOSTAR, BOSNIA - CIRCA JULY 2016: an off road car on a dirt road and a fallen pine. hd00:16Depopulation of the Balkans. Abandoned houses in the mountains. 4k00:09Young tourist visits the Etruscan tombs of San Cerbone (7th-6th century BC). Populonia, Tuscany, Italy. 4K UHD in Cinelike Gamma (flatter profile suitable for grading and editing) by Panasonic GH-4. 4k00:06Famous "Dracula Castle" - Bran Castle in Transylvania, Romania.